IDEA is the federal law that assists states, and through them, LEA's, in providing special education and related services to children with disabilities. The primary purpose of the IDEA Part B program is for states and school districts to make FAPE, as defined in the IDEA, available to all eligible children with disabilities and to ensure that IDEA's rights and protections are afforded to eligible children and their parents. Under IDEA, FAPE is a statutory term. It is defined to include special education and related services that: (a) are provided at public expense, under public supervision, and direction, and without charge; (b) meet the standards of the SEA, including Part B requirements; (c) include an appropriate preschool, elementary school, or secondary school education in the state involved; and (d) are provided in conformity with an IEP that meets the requirements. Each child with a disability is entitled to receive FAPE in the LRE. Section 504 is a Federal law that prohibits disability discrimination by recipients of Federal financial assistance. Section 504 provides a broad spectrum of protections against discrimination on the basis of disability. For example, all qualified elementary and secondary public school students who meet the definition of an individual with a disability under Section 504 are entitled to receive regular or special education and related aids and services that are designed to meet their individual educational needs as adequately as the needs of student without disabilities aer met. Section 504 also requires that a student with a disability receive an equal opportunity to particiapte in athletics and extra curricular activities, adn to be free from bullying and harassment based on disability. 3. is regarded as having such an impairment. Student with disabilities who are protected under Section 504, but are not eligible for IDEA services, must be afforded a FAPE through a designed process involving referral, evaluation, programming planning, placement, and re-evaluation. Section 504 eligibility is determined by substantial limitation to a major life activity resulting from physical or mental impairment. Note: This is a subjective professional judgement. School personnel must remember that the primary determining factor is their professional judgement about the child’s functioning, not test scores, discrepancy formulas, and other quantitative data. Referral – Schools are required to refer students who they think would be eligible for Section 504 services. A committee of knowledgeable individuals will make that determination. Parents or school personnel may make referrals. Evaluation – If the committee believes that the child would probably be eligible for Section 504 services, an evaluation of the area of suspected need must be completed. This evaluation must use nondiscriminatory procedures. Eligibility Determination – After the evaluation, the committee must determine if the student has a physical or mental impairment that substantially limits a major life activity. Recommendation Plan Development – If the committee determines that the student is eligible under Section 504, an accommodation plan must be developed. Periodic Re-evaluation – The school must periodically re-evaluate the student to determine continuing eligibility under Section 504. Note: Accommodations for this group of students are usually inexpensive, common sense modifications that enable them to have equal access to educational and extra-curricular activities. They are intended to level the playing field so that students with disabilities have an equal opportunity to be successful. Being able to perform a major life activity that the average person in the general population can perform. Being significantly restricted as to the condition, manner, or duration under which we can perform a particular major life activity as compared to the condition, manner, or duration under which the average person in the general population can perform that same activity. The standard that should be used in determining substantial limitation thus is average performance in the general population. Consider the impairment’s nature and severity, duration, and any long-term impact. Annually identify and locate all children with disabilities who are underserved. Provide a free, appropriate public education to each student with a disability, regardless of the nature or severity of the disability (providing general or special education and related aids and services). 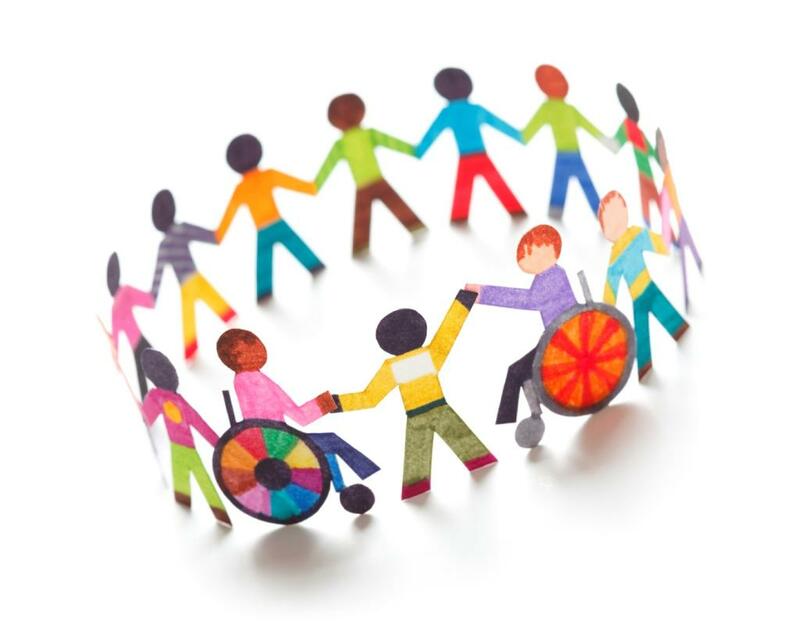 Ensure that each student with disabilities is educated with non-disabled students to the maximum extent appropriate. Establish nondiscriminatory evaluation and placement procedures to avoid the inappropriate education that may result from the misclassification or misplacement of students. Afford children with disabilities an equal opportunity to participate in non-academic and extra-curricular services and activities. Having a record of such an impairment – has a history of, or has been classified as having, a mental or physical impairment that substantially limits one or more major life activities. The Speech / Language Specialist (SLS) must set up a meeting within 20 days of receipt of the request to determine if an evaluation is warranted. The SLS, a person with knowledge of the student (presumably the teacher), and the parent will attend this meeting. At the meeting, the team will discuss any parental concerns. Also, eligibility requirements for ESLS (Eligible for Speech/Language Services) will be discussed. Note: when a student has been determined eligible for speech / language services and other disabilities are suspected or other services are being considered, the student shall be referred to the Child Study Team. Project CHILD FIND is a free referral service and public awareness campaign to assist in the identification of unserved / underserved youth with a delay or disability from birth through twenty-one years of age. In addition, Project CHILD FIND develops and distributes information to the public about early intervention services and special education programs throughout New Jersey. Assisting families of preschoolers, three through five, concerned about their child’s development by directing requests to their local school district. Helping families access community services through referral. Promoting community and public awareness of all children with disabilities by providing information. Assisting local school district boards of education to identify unserved children from age three through twenty-one who are in need of special education and related services. Information through Project CHILD FIND may be obtained by calling the toll-free number, 1-800-322-8174, which is in service 7 days a week, 24-hours a day. All calls received are confidential. You will receive information required for enrollment in the Delsea Regional High School District and/or Special Services program. Delsea Regional High School District has a Special Education Parent Advisory Council. The purpose is to give parents an opportunity to provide direct input to their school district about policies, programs, practices and services for students with disabilities and their families. • Parents of children with an IEP/who are educated in schools or outside of the student’s neighborhood school. Each Special Education Parent Advisory Council is unique. It takes time, effort and patience to be an effective, sustainable group. Have a concern about a child? Make a referral to Early Intervention in New Jersey for a child under the the age of 3.